At the Business Conference that took place in Portorož on November 21 and 22, 2013, Gorenje presented their revolutionary innovation: the IQcook induction hob that uses sensor technology to completely change the way we cook. IQcook sensor technology automatically controls hob operation according to the selected settings and does away with the need for constant control of the cooking process. Gorenje presented its most exciting and user-friendly cooking hob that delivers healthy and delicious results at the Portorož Business Conference, Slovenia's top business event. 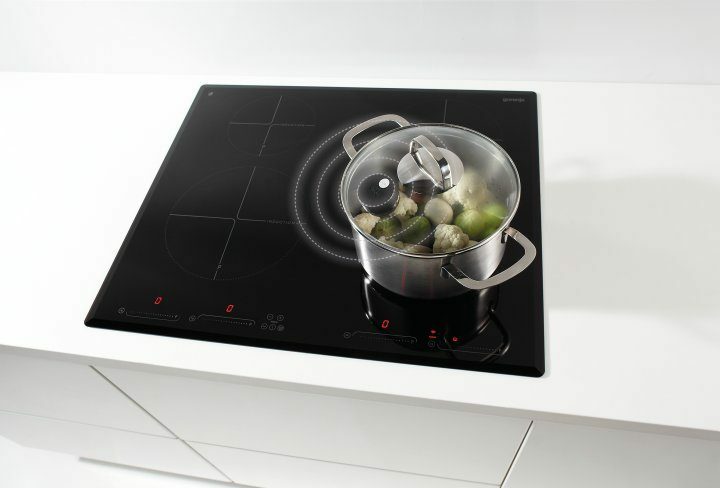 The IQcook smart induction hob harnesses sensor technology to prevent the food from boiling over or burning. IQcook hob also impressed Mrs Vesna Milenković, the Feelgood ambassador of healthy lifestyle and wellness, who demonstrated to the visitors how to prepare healthy meals, and shared those meals with the audience. IQcook is currently by far the most attractive piece of cooking equipment in the world. The smart hob has thrilled users across the globe with unbeatable flavour of the food which retains all of its substances and elements and with the way it revolutionized user habits of constantly keeping an eye on the hob to make sure the food does not boil over or burn. IQcook allows healthier cooking. A kilogram of vegetables can be cooked in no more than 0.5 dl of water, and meat can be seared without a single drop of oil. The sensors will make sure the temperature is just right, and automatically switch off the hob when you are done. Safety features also include automatic switch off if liquid evaporates from the pot. When frying, oil will always be at the right temperature for best results. Portorož Business Conference is the central business event in the country, organized by the Ljubljana Faculty of Economics and the Finance daily paper. Its fundamental mission is education of businesspeople, and interactive exchange of knowledge, experience, opinions, and views of the current business issues in the broad economic area. It brings together businesspeople with researchers and educators on one hand, and with economic policy-makers and representatives of state administration and its agencies on the other. It is intended for businesspeople in the broadest sense of the work, especially executives and top managers in medium and large enterprises in the broader region of Central Europe.